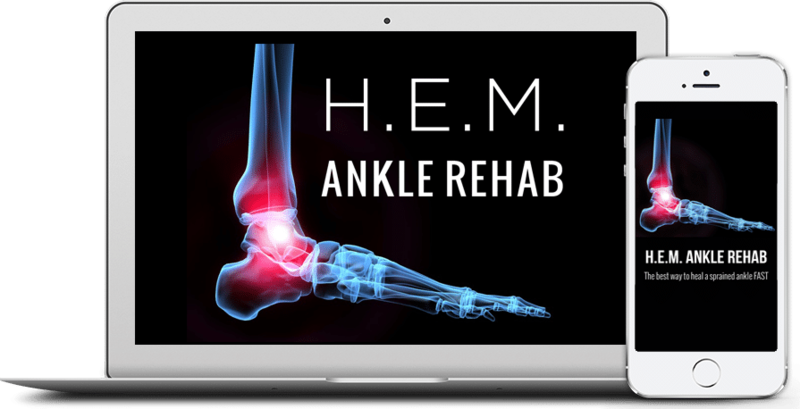 Instead of ice, recent studies strongly suggest that you should properly and fully heal a sprained ankle with rehab (that is why we created H.E.M. Ankle Rehab, so you could fully and quickly rehab your ankle at home). High quality ankle rehab has been shown to significantly improve the speed and quality of the healing process as well as reducing the risk of future injury without ankle braces, wraps or tape. Dr. Nick DiNubile, Editor in Chief, The Physician And Sports Medicine Journal. Finally, the study found that exercise helped to maintain blood flow and flexibility to the injured ankle, both of which are proven to speed up recovery. 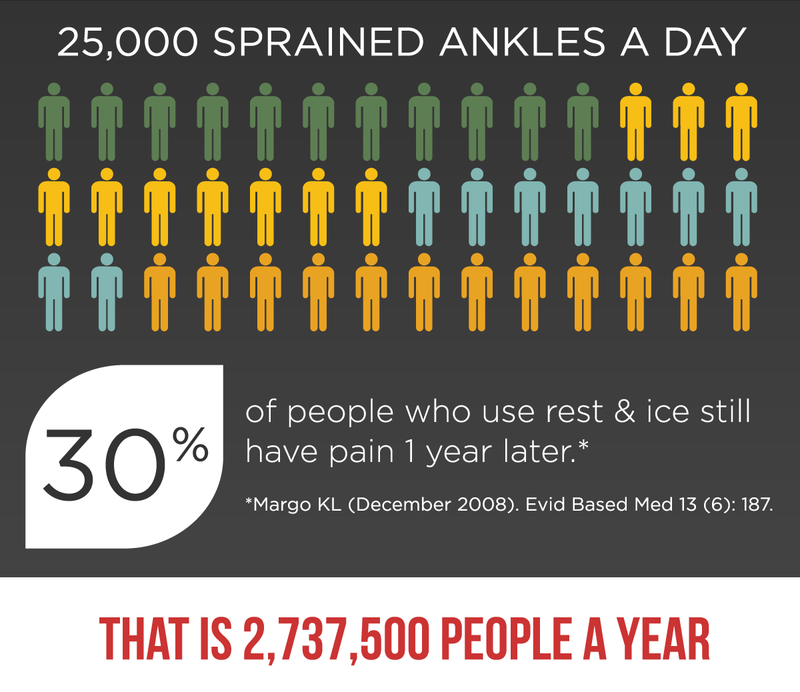 Therefore, ice application does not boost recovery after exercise and can instead cause tissue and nerve damage. Malone T, Engelhardt D, Kirkpatrick J, Bassett F. Nerve injury in athletes caused by cryotherapy. J Athl Train. 1992; 27(3): 235–237. Tseng CY, Lee JP, Tsai YS, Lee SD, Kao CL, Liu TC, Lai C, Harris MB, Kuo CH. Topical cooling (icing) delays recovery from eccentric exercise-induced muscle damage. J Strength Cond Res. 2013;27(5):1354-61. doi: 10.1519/JSC.0b013e318267a22c. IGF-1 is essential for helping damaged muscles and ligaments heal. Applying ice to reduce swelling actually delays healing by preventing the body from releasing IGF-1. Therefore, it is no surprise that a recent study concluded that ice appears to delay the return to normal of muscle damage markers. Tidball JG, Wehling-Henricks M. Macrophages promote muscle membrane repair and muscle fibre growth and regeneration during modified muscle loading in mice in vivo. J Physiol. 2007; 578: 327-336. The results? Local ice therapy immediately following sprint-interval training was associated with greater decreases in both pro- and anti-inflammatory cytokines and anabolic hormones supporting some clinical evidence for possible negative effects on athletic performance.